You've worked impressively hard to get to your final months of senior year, you should celebrate just as impressively. Take this 4-day dream Dallas getaway and experience the landmarks, the history, and all the thrill that Texas has to offer! Free Time at Bishop Arts District - Groups of all ages can enjoy the shopping, dining, and artistic opportunities offered in the Bishop Arts District with its small-town feel, young artsy vibe, community events, and friendly environment. With over 60 independent stores, boutiques, shops, cafes, restaurants, and art galleries, the Bishop Arts District has something for everyone. Enjoy a nice day store hopping through Artisan’s Collective, an art gallery featuring the works of over a hundred local artists, or Fete-ish, a quirky shop selling odd art, cute collectibles, and more. The other half of Bishop’s charm lies in its delectable food choices. From traditional, down-home Texan cooking to five-star quality cuisine, Bishop has it all. Try Emporium Pies or Oddfellows for some mouthwatering ice cream and dessert goodies or even the cute and clever Dude, Sweet Chocolate. Street performers, parades, and festival events may pop up at any moment to keep you on your toes and smile while here, as well! Dallas Zoo/Botanical Garden - Your next stop is a choice depending on your group’s particular interests; either spend a few hours exploring the Dallas Zoo or a few hours discovering local plant life at the Dallas Arboretum and Botanical Garden. The oldest and largest zoological park in Texas, the Dallas Zoo started simply with two deer and two mountain lions. Today, the park boasts 106 acres of stunning landscaping, beautiful exhibits, and over 2,000 animals representing 406 species! If that’s not your thing then head to perhaps the most beautiful and extensive botanical garden in the U.S., the Dallas Arboretum. See the lily pond and fountains of the Magnolia Glade, the tranquil views of the Margaret Elisabeth Jonsson Color Garden, and check out the seasonal designs of Autumn at the Arboretum festival in the Pecan Grove when the area is covered top to bottom in pumpkins. Learn how to garden, take a photography class or creative arts program, or lead your young students through the gardens on a guided tour with the help of the park's employees! House of Blues Dallas - End your night experiencing the sights, sounds, and soul of Dallas at the House of Blues. The House of Blues, Dallas, is a popular rock and blues-themed chain with celebrated southern cuisines such as fresh jambalaya and po boys. You will find regular concerts and constant delicious dishes here on North Lamar Street in Dallas, this particular House of Blues always pumping with live music and lively guests. Find out exactly how this nationally recognized music brand has ‘educated and celebrated the history of southern culture and African American artistic contributions to music and art’ since the very beginning during your visit. The food will definitely not disappoint during your visit, either, the House of Blues serving up an amazing mix of American and International dishes regularly! Six Flags Over Texas - Your favorite amusement park franchise is bringing all the fun of thrilling roller coasters, delicious park food, and exciting rides of Superhero proportions to Arlington at Six Flags Over Texas, just about 15 minutes west of Dallas! Scream your way through a park full of phenomenal rides, scary drops and twists, and all the best attractions you could hope for in an amusement park. 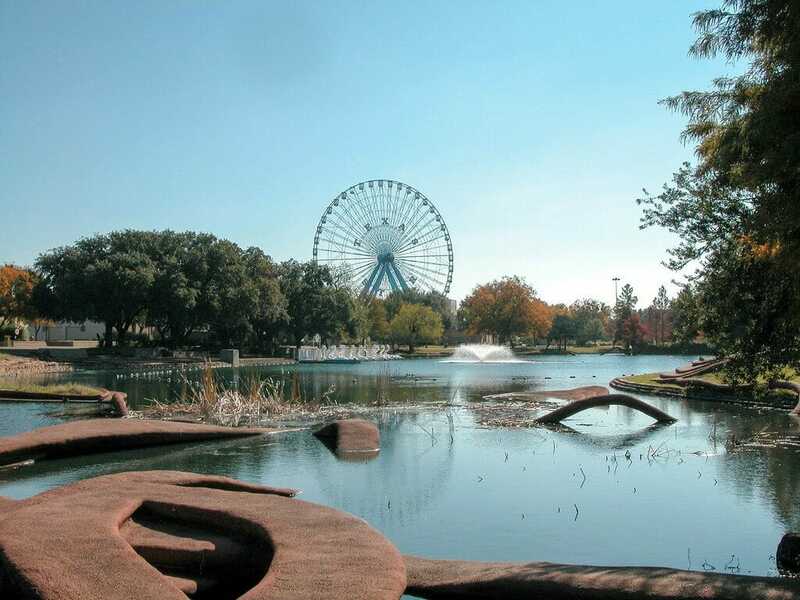 Over 212 amazing acres of fun, you can find everything from scream-tastic roller coasters to family-friendly carnival rides and more, just outside of Dallas. Six Flags is known for their incredible thrill rides, especially those themed after DC Comics characters like Justice League: Battle for Metropolis or Superman: Tower of Power. Stop for a funnel cake or even a healthy snack while you tour the park or head inside an air conditioned restaurant during those hot summer months! Highland Park Village - Welcome to Highland Park Village, the upscale shopping plaza in the southwest corner of Mockingbird Lane and Preston Road in Dallas that serves as one of the most visited shopping areas in the city. Highland Park Village is considered to be the ‘first self-contained shopping center in America’, first built in 1931. HP Village, the prototype for shopping centers all over the country, holds a unique Mediterranean-Spanish style, one admired by shoppers and architecture lovers alike. The stores here are mostly designer, with options such as Fendi, Jimmy Choo, Ralph Lauren, Tom Ford, and CHANEL. You can shop eyewear, entertainment, beauty, fitness, floral, fine jewelry, fashion, or even whole foods! There are several onsite eateries here as well to grab a bite before your next stop. Dallas Cowboys Tour - The Dallas Cowboys, Texas' golden child of the NFL and America's football sweetheart, find themselves at home at Dallas' AT&T Stadium. If you're a football fan at all, chances are you've enjoyed some Cowboys games over the years and here's your chance to visit where they play in person! Stadium tours include the VIP Guided Tour, the Art Tour, and Educational tours as well as self-guided options for groups that prefer a go-at-your-own-pace style of touring. During the VIP Guided Tour, the student group will be led by a professional guide through various areas of the AT&T Stadium such as a private suite, the print media press box, the Cotton Bowl office vestibule, the Dr Pepper Star Bar, the field, the Miller Lite Club, the post-game interview room and also both the Cowboys and the Cheerleaders locker rooms! Trinity River Audubon Center- To fully experience a new place it is said that you need to spend a few hours immersing yourself into the natural elements of that place. You need to go out into a park or nature reserve and see what the natural setting is made up of, explore the flora and fauna, observe new creatures and plants you have never seen before. This is exactly why we have included the Trinity River Audubon Center, one of the most natural and most outstandingly beautiful areas in all of Dallas (though technically it is 10 miles south of Dallas). This nature center serves as a gateway to the Great Trinity Forest, a 6,000-acre forest that holds diverse ecosystems, wildlife, and interactive activities for guests. You can hike here, bike, take a kayaking tour, bird watch, picnic, or just relax and take it all in. There is the actual Audubon Center, a 120-acre green building that holds all the information you may need during your visit, including several student and teacher resources and activities!